Our own range of bed linens under our own label Finest. 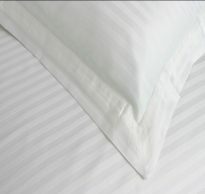 Our range of Finest Bed Linens are designed and made in house. Bespoke bed linens design to suit you specific size, shape and design requirements. We source the Finest Luxury Italian Fabrics. The beautiful fabrics come in up to 98 Colours, patterns and classic stripes, from 300 to 1000 thread count in percale, sateen or jacquard finish and is perfect for your home or yacht bespoke bed linen. 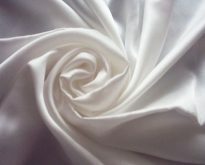 This Italian woven Egyptian Cotton Fabric is exquisitely soft to the touch and finished to an exceptional standard perfect for bespoke linens. 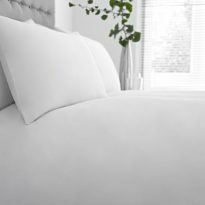 Mix and match to create you desired choice of luxury bedding, perfect for bespoke yachts linens or bespoke linens for home and boutique hotels. Trims and Pin tucks can be on pillows, sheets and duvets. Satin stitch, Bourdon in a choice of colours can also be added. 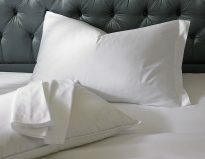 For the personal touch, these luxury linens can be embroidered or labelled with your logo hotel or yacht name on request. Towels, bed coverlets and cashmere or Tibetan Wool throws and cover can also be bespoke designed by you or with help from our in house designers. All hand crafted in Mallorca to an exacting standard shipped worldwide.